The Occupation is one of the most creative and inventive games to come out in modern memory. In the immersive sim, you play journalist Harvey Miller and are tasked to uncover the truth behind a deadly explosion. The prime suspect, Frenchman Alex Dubois, claims that he is innocent. The setting takes you to a fictional depiction of England in the 1980s, where a controversial Union Act has been drafted that will restrict freedoms and push out immigrants to ensure national security. 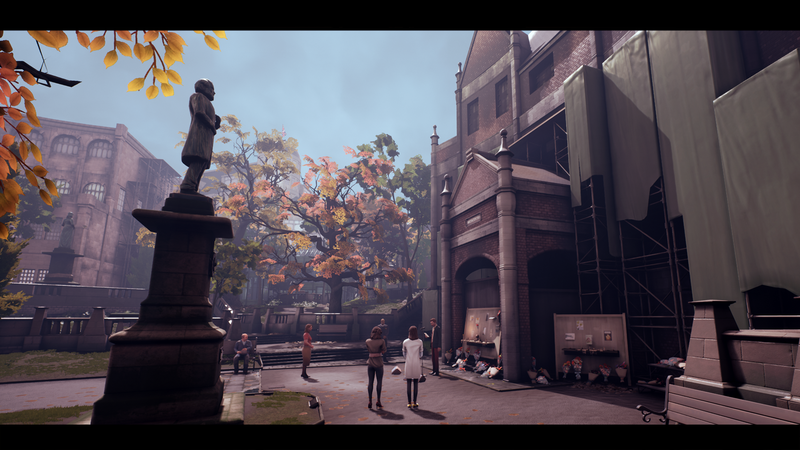 While The Occupation takes place a few decades ago, developer White Paper Games, based in England, wanted to create a game that stoked a nuanced debate regarding hot-button issues the world is facing today. In their review, GameSpot noted how successful the developer was in achieving this goal when they wrote, "It may well be set in the 1980s, but the issues tackled feel all too relevant today. It's a smart story that's told with a deft, delicate touch." What gives the game a nuanced feel for approaching such a contentious subject matter is the fact that the game is driven by a “fixed-time” system, which equates one minute of in-game time to one minute of real-world time. This presents innovative mechanics at the intersection of gameplay and narrative design to create something wholly special and unique. We interviewed White Paper Games' Co-founder & Game Director Pete Bottomley, Art Director Oliver Farrell, Audio & Narrative Director Nathaniel-Jordon Apostol, and Platform Programmer Dave Smith, and they explain how they were able to create one of the most innovative and refreshing games in years. When you're trying to tread new ground with a new narrative and gameplay mechanic, some challenges are bound to occur. On designing The Occupation around its fixed-timed element, Co-founder & Game Director Pete Bottomley elaborated, "The way we approached it was first to lay down the core beats of the game; this can take a simple form of sticky notes on a wall. Once we had a narrative structure, we could plan the environments around what the artist’s intention was. We then went quite low-level and planned the moment-to-moment gameplay: what our approach was and what a gameplay scenario should look like," he added, "With The Occupation, we knew we wanted to be tactile with lots of in-world interaction and have gameplay scenarios that could be solved with different approaches (akin to the immersive-sim genre). Once you know these, it’s an on-going back and forth between mid-level design (player objectives per area) and the narrative beats." One of the challenges that arises from giving players infinite freedom to explore within a restricted time limit is that you often won't know how players will progress through the narrative. The game director elaborates, "Sometimes when telling a story, it’s just not clear to the player what is going on or they’re distracted with their gameplay objective, so they need to be intrinsically linked, but open enough for playtesting and integration when changes need to be made." The fact that The Occupation features one-to-one fixed-timed gameplay is heightened by the fact that players are free to stealthily sneak into restricted areas and investigate as aggressively as they would like. Coupled with the fact that time is a finite resource, the game features non-linear branching pathways that affect the course of the story. "Every action you take affects the way the game's narrative plays out," Audio & Narrative Director Nathaniel-Jordon Apostol stated, adding "There are finite decisions you can make at key points that will give you different endings to the game." Injecting a degree of plausibility to the game, Apostol added, "However, just because you 'decided' to do something doesn't mean you'll 'succeed' in doing it. Our endings are results of your gameplay actions as opposed to black-and-white successes or failures." Considering White Paper Games created characters with complex perspectives, the narrative director elaborated on the depth that players might experience playing the game, "The thing that excites me is that there are optional moments in the world that we've built that (if experienced) will shape the way you think about the characters or the game world as a whole. If you miss them altogether then you may feel completely differently about the narrative paths." While the game can progress in a multitude of ways, which dramatically heightens the game's replayability, Bottomley asserted that they also designed the experience to be satisfying the first time through. "I’m personally the type of player that likes to explore a world, find out about the people who live there and figure out exactly what happened. I’ll play through a story and whatever the outcome, I feel as though that reflected my journey through the game." The studio did want to satiate the needs of players who wanted to dive back in to get a more complete experience, however, "There are people on the team that will pick through every small deal and make different choices on multiple playthroughs, and they’ll get reward from that," Bottomley added. GameSpot echoed how rewarding it was to play the game multiple times, "After finishing it a second time, I had a good handle on the major events of this bureaucratic thriller, but it wasn't until I'd played all the way through for a third time--and replayed individual sections several times over--that I felt confident I understood the motivations of the main characters. Even now, I'm contemplating a fourth go in an effort to figure out the smaller details and fathom just how deep the conspiracy goes." While White Paper Games noted that they were inspired by stealth games like Dishonored, unlike Arkane Studios' action game, there are no weapons or even a health bar in The Occupation. So how did White Paper Games handle making stealth a core and compelling component of gameplay? They leaned on the adage that "time is money." Bottomley elaborates, "Time is our health bar," he added, "In a fixed-time investigation, you’re working against the clock to find as much information as you can. You won’t be able to follow every thread and all the small narratives the world has, so it’s up to you to select what you think is the most interesting." When players get caught snooping around in the game, a security guard effectively puts them in detention. This subtracts precious time players have to unearth clues to progress the narrative in a more satisfying light. Bottomley adds, "It’s amazing to see how much pressure a loss of time can have, which, we believe is as equally exciting and intense as losing health in a shooter." PC Gamer praised The Occupation’s effectiveness here in their review, stating, "It creates a tension I haven’t seen in the genre before, and makes every second—every agonising moment spent waiting for an incoming fax to screech into an out-of-bounds office—feel vital." To keep the stealth and the actions of NPCs unpredictable, dynamic, yet believable, White Paper Games spent considerable time developing a robust AI. Bottomley stated, "The main divide in our AI design comes from scripted events and dynamic (reactive to player actions) events. Our scripted events hold the 'route' of the characters in the world. This takes the form of their daily tasks they need to complete. It provides the main foundation for our believable AI. Layered on top of these are dynamic events, which can be triggered to pull them out of their routine." Providing an example, he continued, "Maybe they take too many coffee breaks and then need the toilet. A non-player facing stat will be counting all these small actions behind the scenes, which then pulls the NPC out of their routined task and tells them to go and use the toilet. More examples of this can be found in our guard AI who are monitoring the player's actions and will move towards doors being left open or alarms sounding. We have stats that we monitor such as when they last saw the player, or where in the world the player currently is even down to how pressured they should make the player feel, which all help bring the world to life in a believable way." To the team, it was important to make the NPCs feel like real, believable individuals. Bottomley adds, "We think that giving the AI scripted behaviours and a list of tasks to complete replicates how each of us approach our days: we all have a list of things we want to achieve in a day; however, dynamic events happen around us, maybe we need to take a break from our work, or use the restroom, or perhaps an urgent task comes out of nowhere, which requires our attention. Replicating these types of behaviors in the game world has hopefully lead to a world that feels alive with people going about their day." The Occupation primarily takes place in a fictional UK city called Turing in 1987. 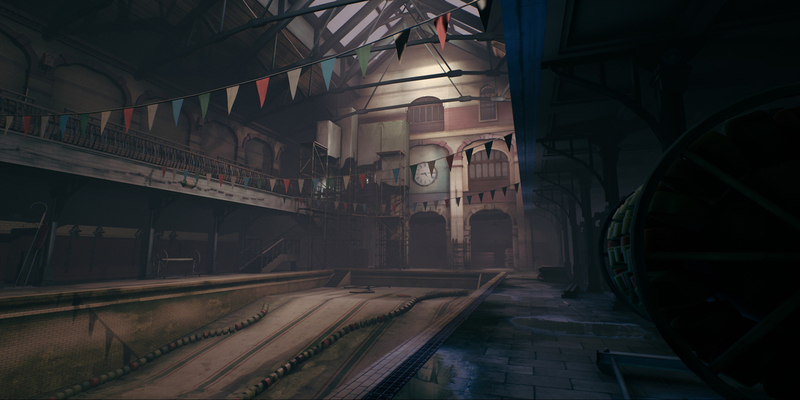 In creating the setting, White Paper Games, who's based in Manchester, got inspiration from close to home. Bottomley stated, "Whenever you’re setting out to create something, you want to put your life experiences and culture into everything you do. We can't help but be inspired by the city around us. As you walk through most UK cities, you’ll see shop fronts, and a very modern look; however, if you raise your eye-line and look up, you’ll see incredible, towering architecture that is uniquely detailed and very beautiful. We felt the city was losing some of those aspects and we wanted to recreate what a city would have looked like in the 80’s. We’re also incredibly lucky as the pop culture around Manchester and Liverpool in the 1980’s was (and still is) world famous." On establishing the time period, Bottomley elaborated, "Whenever we’re concepting a game, we’re not necessarily looking for a ‘market opportunity’ or what we think might be successful. Although these factors are obviously incredibly important to a small studio, we can refine those decisions once we have our core values set. Our approach, instead, is to ask each area of development, 'What do you want to achieve with our next project?' Our design core pillar, for example, was something system-driven, which mixed our narrative-driven 'walking-sim' roots with the systems approach of an immersive sim. With this approach, it was definitely an art & audio pillar that really set the period. Our Art Director, Oliver Farrell, wanted to create a northern-UK city and our Audio Director, Nathaniel Apostol, wanted lots of in-world SFX and 80’s pop music (which is all written and recorded by Nathaniel) and not to rely as heavily on a scripted soundtrack throughout the experience. As a team, we like to give our games a place and time and allow them to fit inside the same universe. We pick a key event and date to base the game around." Visually, The Occupation features beautiful graphics that are stylized, yet are realistic enough to be grounded in reality. 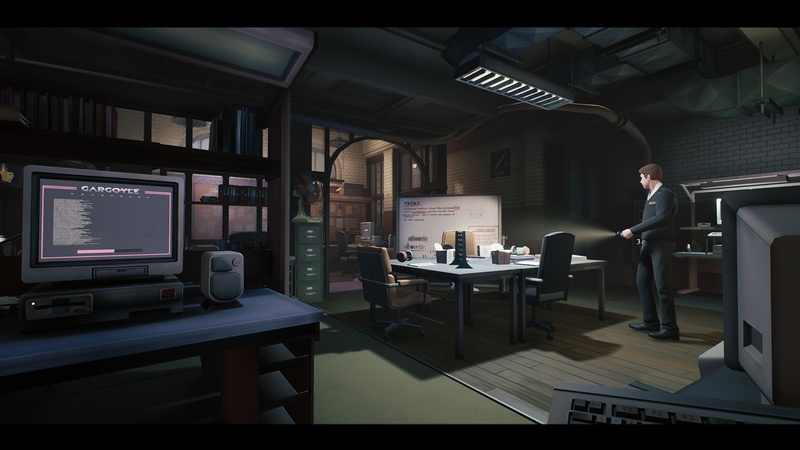 A part of what makes the game feel tangible is the large government building players must sneak through to uncover the mysteries behind the narrative. In designing the look and world of the game, Art Director Oliver Farrell stated, "With The Occupation, all of the inspiration we needed was right outside our studio door. As a team, we have spent many years in Manchester and being so familiar with the city has allowed us to create a game world that hopefully feels rooted in North West England. Everything from the building materials used to the architecture, it all has been inspired by the cities of Manchester and Liverpool." He added, "On a technical level, creating a large circular building for the player to explore in a four-hour period was definitely a challenge! ...But it was a great challenge, and I think it’s added to the unique style of the game. You don’t often see larged curved architecture in a game world so I hope it helps ground the foundations of a northern city in The Occupation. As Pete mentioned before, there’s a massive back and forth between the narrative beats and game design, which has a big impact on the level design -- making environments harder to lock down. A way we planned for this in advance was to create each of the key gameplay areas as four-story buildings (even if we only ended up using two or three). As we knew we wanted 'stealth' elements, we knew this would lead to tight crawl spaces and vents. To account for this in the level design, we left a one metre gap between floors (each floor is between four and five metres high) to accomodate vents and crawl spaces, which may need to be iterated on as we play-tested. It meant we could lock down the overall architectural space of the building and keep it looking believable whilst giving us the flexibility to make level adjustments." In their review, Polygon noted the fruits of White Paper Games' efforts here when they stated "a lot of work went into building the world for me to explore." The fact that the studio was able to innovate and achieve all of this with just a core team of nine people is astounding. Bottomley asserted that there was no way the team could have done it without the help of Unreal Engine 4, "We’re a design-and-art-driven studio. We’re not really a studio of engineers and programmers (at least for our core gameplay systems). We need visual tools that we can iterate quickly with and that are simple enough for designers and artists to access. You’ve probably read that response from many UE development teams, but there’s no way we could have created a game like The Occupation with any other tool." 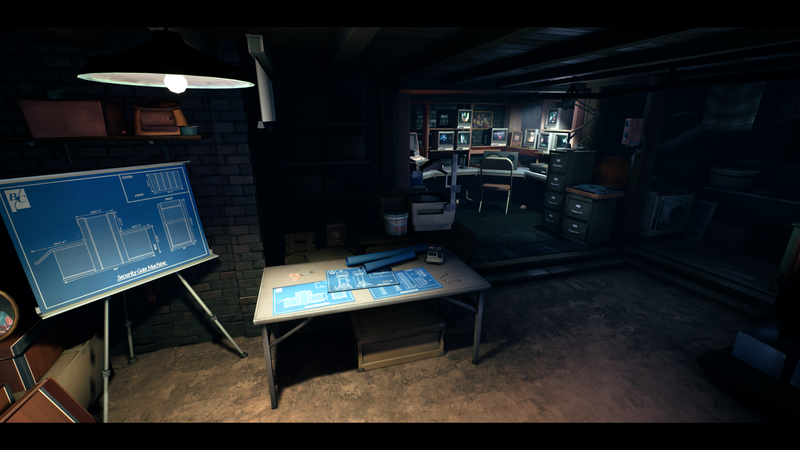 Bottomley praised visual-scripting system Blueprints, in particular, for helping them execute on their vision, "We actually do a lot of our gameplay prototyping (and even final code) in Blueprints. The main benefits for us is the access to the graph in UMG, Blueprints behaviour tree tasks, decorators & services, and the ability to create components in C++ (or Blueprints, but we mostly do this in C++) to give designers access to powerful behaviour. All of these elements allow us to work in a very modular way." Platform programmer Dave Smith appreciated how they had access to Unreal Engine 4's source code, "UE4 is built to be multi-purpose, but the more you tread off the beaten path, the more likely it is that you'll need to jump in there and make some changes of your own. Epic's point releases are great, but being able to make engine changes immediately when necessary is invaluable." 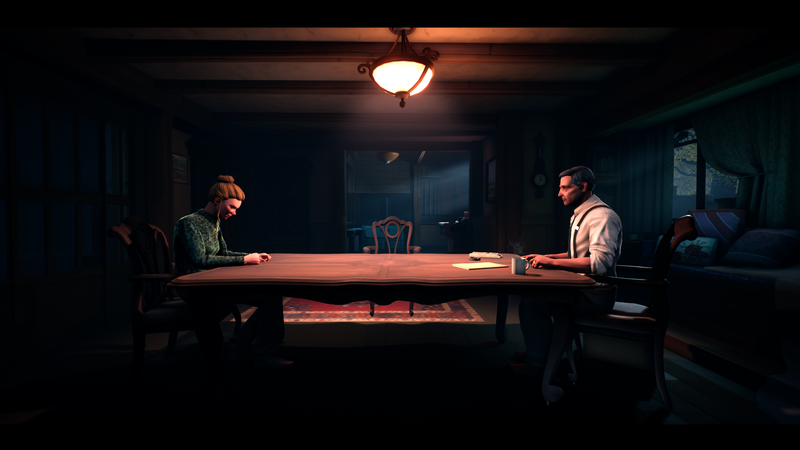 The culmination of all of White Paper Games efforts to make an innovative thriller are evident with Polygon concluding in their review, “The game can be bleak, and the stakes are high, but there’s still a pleasure to be had at figuring out a system and carefully dismantling it via subterfuge, cleverness, and patience." The Occupation is now available. For more information on the game, visit www.occupation-game.com. If you're interested in creating your own game, you can download and explore Unreal Engine 4 for free today.